Make Presidential Licensing Normal Again! I suppose I should put this in the form of a rant. Controlled releases from the Addicks and Barker Reservoirs flooded thousands of Houston homes during and after Harvey. Congresswoman Sheila Jackson Lee is demanding the reservoirs’ aging dams be replaced. Jackson Lee called for $100 million in funding to build new flood infrastructure, including replacements for the two dams. 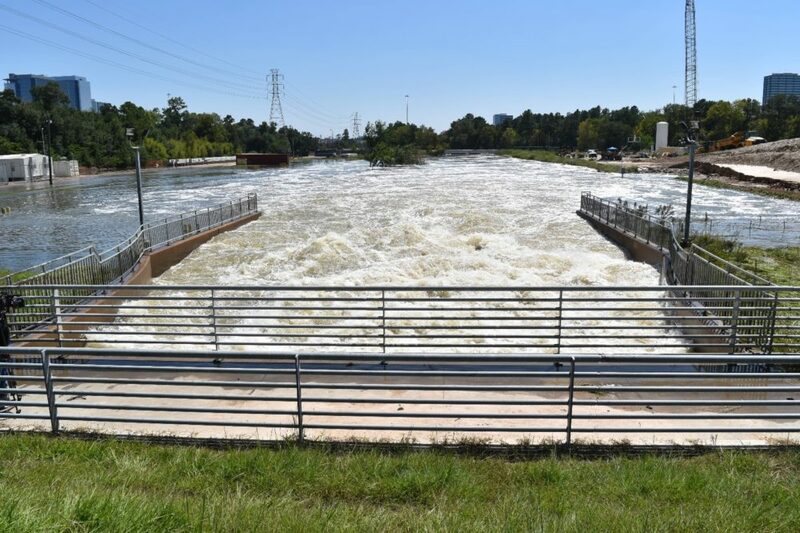 Arturo Leon, who teaches water resource engineering at the University of Houston, notes the old dams would have to come down before new ones could go up. And he warns that, in the interim, the city would be far more vulnerable to flooding than it is now. The two dams were built in the 1940s and are rated among the most unsafe in the country. Currently, there are no official plans to replace the dams, but the Army Corps of Engineers is reinforcing them. The opinions of Mr. Leon are thrown in there for "balance," because there really isn't a valid argument that we replace the reservoirs with something else that doesn't involve removing the dams that create the reservoirs (they aren't dug into the ground, the dams are berms built up around an area meant to retain water during heavy rain events, and discharge slowly). We really can't leave them "as is," because that just sets up the next flooding event in the same neighborhoods, and the city and county can't really afford to buy up those areas and set them aside for flood control. The "slow discharge" turned into a second flooding event, as Rep. Jackson Lee noted. I have friends in those areas, in what were nice neighborhoods that now look like war zones. I've heard reports via the NYT about the e. coli levels in the flood waters (high; very, very high) that we heard while the waters were still flooding us. Additional information is about "sand" left behind that's actually industrial sludge (don't know where this is, but not everywhere, I don't think); highly toxic, probably with heavy metals and various chemicals you can't pronounce and shouldn't ingest or get on your skin. EPA is dithering so badly on this even Harris County Health Department can't get an answer as to what they may be facing, which should be a national scandal on its own. The neighborhoods I started out mentioning are now ruined houses with piles of furniture, sheetrock, insulation, toys, kitchen appliances, kitchen cabinets (stop and think of everything that would take on water in your house, even just up to a level of 3 feet) in front of every house for four blocks. No one is living there anymore, they are cleaning out and wondering what to do now, and when will the city be coming to pick up the toxic trash? Will the houses be destroyed, bought up by FEMA or Harris County or nobody? Will they be rebuilt, and who will live in them? How much more "vulnerable to flooding" would the city be without the reservoirs dumping too much water too rapidly into too small a drainage area to confine it? And frankly, how toxic are many areas around Houston now? We can't even find out. This problem isn't going away, but all you will hear about will be the money appropriated for "recovery." Like the '90's when we were warned those reservoirs would prove to be a problem, not a solution, one day, the solutions may well tax the attention or concern of Congress, and we may be left to await the next 500+ year storm. Which, if recent history is a guide, will be along sometime next year.